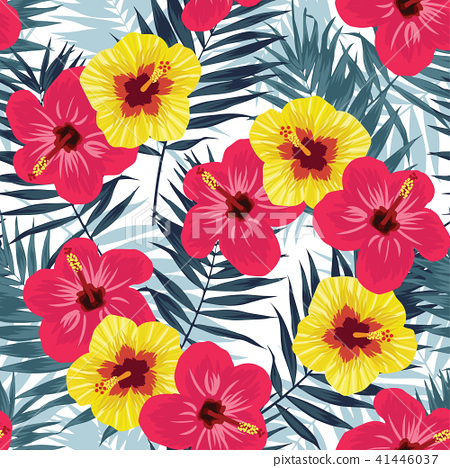 Tropical jungle seamless pattern with palm leaves and hibiscus flowers. Summer fabric floral design. Vector illustration background.